I enjoy making cakes for Lucius as his mom is really very easy going and encouraging.... always wanted to add extras for their cakes (this year I added extra Kailan and friend. 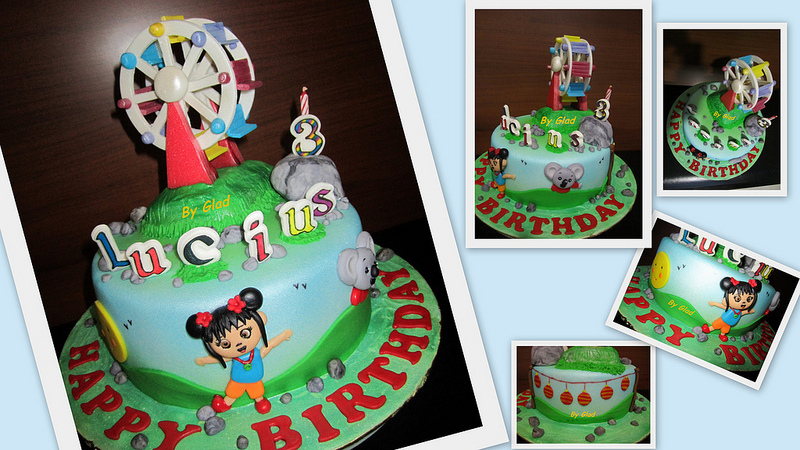 Was requested for either Ferris Wheel or Kailan theme, I combined both themes). 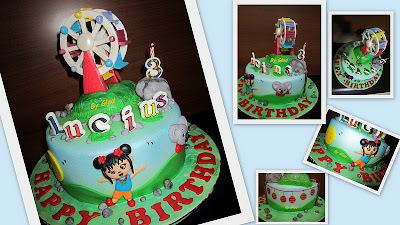 Lucius's 2nd birthday was Thomas theme (click here to view the picture & I volunteer to make 3D Thomas) and 1st birthday was Safari theme (click to view the picture).